Sometimes, it is the manner on which the message was delivered that inevitably caused the content of the message to be lost. There are valid points where there are a lot of inconsistencies, both real and assumed. Why assumed? Using Christianity which seemingly has contradictions, just may prove to people that on the surface there are things to hide. So to use Christianity as the example, shows that the issues Amos has contemplated is still not deep enough but its conclusion can be seen as logical on the surface. On the matter of suing, if an accusation is not answered, there are two things will be inferred – One, no answers means acceptance of the truth in the accusation. Two, that the person who is accused has no guts to protect his or her integrity. Suing in some ways, is to force the person who is accusing, to set forth his case in a proper cohesive manner in which the matter can be readily and easily looked into and make a very informed decision thereafter. The crux of the current matter – of the usage of CPF – in Roy and Han Hui Hui’s case, is that suing may not have the desired outcome for the government of the day. Why? Because the excuse of using confidentiality due to the national security with regards to sovereign funds, will still be used and no one will become the wiser. In the end, the government may save its skin now but does nothing to create an atmosphere of trust that the PAP has fought for so hard and long to gain merger, fighting the communists and then survival post independence. That trust asset that PAP has will erode if this is not tackled well as more people are questioning the effectiveness of the CPF system and of the sovereign fund despite this country being rich and the reason for becoming rich is to take care of the citizens. This government MUST convince the electorate what has happened to the sovereign funds, if not people WILL second guess and WILL create conspiracy theories. The problem is the government cannot sue everyone to keep this under the carpet. I am of the opinion that things can be done outside the court of law and one such example was Chee Soon Juan and George Yeo on health care costs. If we have more of that, it does show the electorate the foundation on which the arguments are put forth and we can make a decision. By relying on the courts does nothing but to alienate the people and not putting the facts before the people to make a decision. Therein lies the problem. On one hand, the government do not believe the ability of the citizenry to think and yet still has to appeal to the electorate during election in order to vote them in. And the same can be said of the effectiveness of leadership where populist decisions are made on policies that may not be popular but will lead the nation to greater heights. I have no doubt about that IF the leadership are very capable people. However what happens if this thinking is applied to questionable policies that are not supported by sound management of infrastructure that we are seeing now? Unlike previous governments, we are seeing a reactionary administration of the country instead of a proactive one under LKY. That is our worry now and should be our worry in the future when ineffective government is hiding behind laws and statutes. Education? Ours is ignorant and arrogant. We claim credit where there is none, and we maintain a narrow mindset and discourage thinking. Compare your quality of education versus ours (almost more than half of Malaysians can’t speak English). Consider freedom of religion – Does Malaysia have true religious freedom? With the body snatching, underhanded conversion and attacks against religious buildings and shrines. Economically? Malaysia is blessed with rich natural resources, and still underdeveloped as a result of that. While LKY has his own weaknesses, you only need to look at your neighbour to know that it’s not all bad in Singapore. Hi, just because yours is worse doesn’t mean ours is better. Thats a fallacy of relative privation. We are trying to fix our issues, sorry we can’t reach out to help yours right now. If you would help yourself inn the mean time we would be glad to show solidarity and support to your cause, but please do not justify in injustice of our issues by proclaiming you have it worse. exactly my thoughts. To all those who are not locals but see Singapore as a better place by comparing to their home countries and then having the audacity to name us as ungrateful bast*rds or whatever- these people are in no position to judge how we should feel towards the political direction PAP has taken us for half a century. A lot of good things have happened but a lot of bad things have also happened. We may be better than our neighbours materially but we could have been in a much better place socially. Thanks for your comments. To some extent, I guess it depends on what a person values in an education system. The two excerpts below show a comparison between Singaporean ‘types’. One is the type which conforms, and the other is more capable of reasoning. Yes, always best to cross-check with multiple sources. I can also see clearly the “substance” in our government budget when adjustments are made to conform to UN standards we actually have a ridiculously large surplus year after year. Just because His screen grabs are from Roy’s website do not make them any less credible as long as Amos has done his due diligence. Sounds like you have something against Roy. stuff it in his mouth ….I assume he meant “his” as in (JT’s) own mouth….. then I’d believe it… because uttering such language in the public domain just shows that he is really not fit to be any sort of leader. As my late “victorian” mother would have reminded him … that the use of such language only reflects his level of education . Worse still, it reflects on his family AND background. in Peace….Mum…….you did a good job…..even though you sometimes caned us. The opposite of an Autocracy wherein the power to rule lies in one person/party’s ability. It means there are different interest groups being represented in parliament. It means the people have the power to keep the government in check. 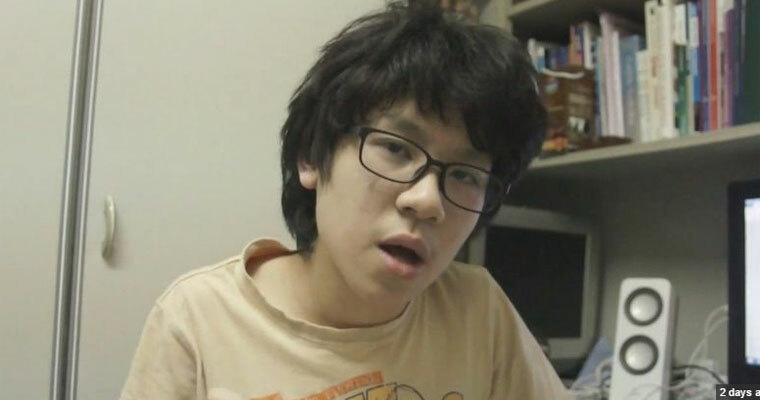 First and foremost, Amos Yee wasn’t uttering complete nonsense. We need to understand why he did what he did. It’s undeniable there’s much dissent on the ground and social media towards the Singapore government and he’s just one of the many except that he’s brave and courageous enough to express his feelings and opinion openly despite in the back of his mind, he knew the consequences he might have to face and that alone puts the majority of Singaporeans including myself to shame. What he needed is guidance on how to express himself and put forth his opinions and debate whatever he wants in a manner that neither offend nor degrade any person or religion. Having the full force of the law slamming down hard on a 17 year old, is that going to help? Singapore needs to open up and do away with the suppression mentality and unlock the free flow of exchanging of ideas and opinions of the people for the good of the nation in moving forward to the future. Honestly when I hear people say Amos Yee needs guidance I disagree. He doesn’t need any guidance, he’s not a lost kid who doesn’t know what hes doing. Does he need help presenting his thoughts, not really. But you can always offer him advise on how to reach more people but ultimately the means and method he chooses to present himself is his choice. Keep it up, Amos, the rest of the word supports you. Look, Amos’ analogy is extreme but he speaks the true. Similar to the adulation of the idolization of Mao Zedong, LKY’s Machiavellian means and manipulations are only upheld by those benefited from “Lee Dynasty”. The rest of the world doesn’t. Currently Hong Kong kids are also main “people” force fighting against the growing grip of suppression and oppression from communist China. 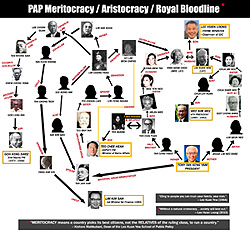 Like Singaporean, only Hong Kong’s rich and famous (who are damn scared to lose the privileges and economic power they enjoy for decades) oppose “change to the pseudo democratic system” because what is better for the general public is not better for their pocket, for the preservation of their “hereditary” family lineage and superiority. It is true that a lot of Singaporean is depressed, so depressed……….because Singaporean has been living under suppression for years. I know that because I do have relatives in Singapore and Malaysian. Amos is right, Singaporean is richer but definitely less happy than their neighbor, which is wrong because Singaporean deserve to be happy. Amos, just to let you know, Hong Kong people has been calling you as Singapore’s Joshua Wong 黃之鋒, who has become a hope for HK to preserve the freedom of speech, freedom of thought, and other values so characteristic of HK. Due to his influence in Hong Kong’s pro-democracy movement, he was named as one of TIME’s Most Influential Teens of 2014 and nominated for TIME’s Person of the Year 2014. In Hong Kong, Joshua is safe because we (and our legal system) are protecting him and his parents. HK needs young, brave and thinker generation like Joshua, so does Singapore. Thanks goodness that LKY failed to fool young kids like you. Your parents should be proud of you. If Singapore doesn’t want you, it is its loss. Do contact me, Hong Kong people is willing to offer you any assistance to live overseas. This kid hasn’t been to the Philippines. If you would help yourself in the meantime we would be glad to show solidarity and support to your cause, but please do not justify in injustice of our issues by proclaiming you have it worse. Hope things progress in a positive direction in all countries, wherever we may be! Born & raised in Singapore, but now reside in the US. This young man may be smart & brazen, but as they say, timing is everything, & his timing couldn’t be worse. While his arguments do merit discussion & debate, his sources are vehemently one-sided & anti-LKY. He also naively tries to paint LKY’s popularity to that of Jesus Christ & Christianity, which really has no relevance nor semblance. He further likens LKY with Mao, once again showing his brash naïveté. Mao represents communism in every aspect, while LKY’s brand of governance is a hybrid of authoritarian & democracy. Furthermore, LKY has never asserted Singapore’s politics to be like that of the US. He has always admitted that his strong-arm tactics may not be right, but necessary for his precarious nation to succeed & compete. The fact is that the US brand of democracy is not a one-size-fit-all. Singaporeans may complain about their freedom of press & speech, but in that same breath, shake their heads in disbelief & disgust regarding the rampant use of guns & drugs in America. Unlike most countries, Singapore didn’t start with an indigenous people with a shared belief, culture or history. Fast-forwarding to today, times have changed & LKY has admitted that his style of governance is more like “social-Darwinism”, evolving with the epochs of time. Comparing the political climate in the ’60s & ’70s & that of today, I believe we’ve all witnessed an evolution of sorts. It will continue to change & evolve for the better, but it will be slow. It must be slow as Singapore will never survive a massive one-time overhaul. I believe, in time, this de-facto one-party state will become a more balanced two-party system representing the differing views & opinions of its populace. Possibly within Amos Yee’s lifetime, but definitely not by his timing. Hopefully now for those of you too hypersensitive to profanity can read Amos’ monologue objectively. I love your style of writing where you leave links for sources and evidence for people to follow. I couldn’t agree more with what Amos has sad. And I am disheartened by the national propaganda going on about this incident. How they got local celebs to talk about WHY this happened. Instead of addressing issues that were brought up. I wrote an article on my blog in a reply to Calvin Cheng wherein he confuses security for freedom. Perhaps youd like to take a look at that? Thanks for your kind comments! Glad you find the links helpful as well. If there’s less propaganda in future, maybe Singapore’s ranking on the Press Freedom Index won’t stay at such a woeful level. You are right about the writer Mr. Cheng confusing freedom for security, and that there are basic fundamental human rights that should not be abused because a “human being” is entitled to those rights. Hi J. I have never been taken up by the Singaporean elites since 1954 when their verbiage was running miles ahead of their intellect. And it so happened that by accident I gained entry through an Open Entrance Examination into one of the best colleges in the same University as LKY who went into the bottom-rank college by the back-door without an entrance examination and was over-age ! Since then, I became the only Malayan/Malaysian who could see the real LKY. In 1972, I lived in Singapore. Little by little, Government measures of a dictatorial kind began to creep in, like the Government decides what colour a condominium block should be painted, the fine micro-managing of everything that concerns with money and the Government etc. I decided to take my chance in good old Malaysia with all her shortcomings after all we were born to work and not to play or to be served by any Government. From August 2011, I became more interested to study LKY and his Politics which I found by 2014 to be a self-serving Godless Ultra Communistic Political and Social System imposed on the citizens by Apparatchiks aka Meritocrats bolstered by the CPF-HDB-Quit Rent & Assessment-Income Tax-GST-COE-Traffic Taxes-Water Conservation Tax-Free Subsidised Water from Malaysia-Public Utilities-the Civil Service-the Judiciary-the foreign manned military etc. He garnered loyalty and support through money, money, money which bought up meritocrats, tycoons, prime ministers etc. Indeed, it is refreshing to note that despite the oppressive measures perpetuated on the hapless citizens from a young age, suddenly a young 16 year old blossomed in 2015 – a person who could see clearly the spider web of self serving intrigue spun by LKY at the height of his powers. And as for Malaysia which practises a Free Malaysian Style Democracy with Open Capitalisitc Characteristics, the only problem with this System is that the elected digits become recalcitrant and we lose a lot of money. Both Russia and China adopted the Godless Ultra Communistic System or Singapore Model or Authoritarian Capitalism or benign Dictatorship (no such thing) or LKY Model or Rich Cuba to climb down from the greasy Communistic pole of no return. In September 2013, Russia awarded an academic medal to the Ruler (1959-2015) together with 4 other academics. In 1992, Deng Xiao Peng commented, ‘ They administer well. But we will do better than them.’ Pundits discovered the oligarchs in Russia, the princelings in China and the siblings in Singapore. It is a small World, J ! Freedom is good… and Freedom of speech is our right… but a bit too much of Anything, even Freedom can get you killed. Just like Water… Water is Life… but too much of it can get you Drowned… as for Amos Yee, well kid, you got served.